I recieved a tweet from Gabriel today. 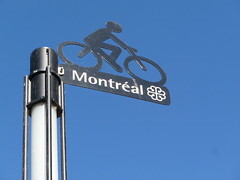 It read, simply, "Hey @Copenhagenize, give some love to Montreal" and included the link to the film, above. Gabriel is right. It's high time to give Montreal some amour. 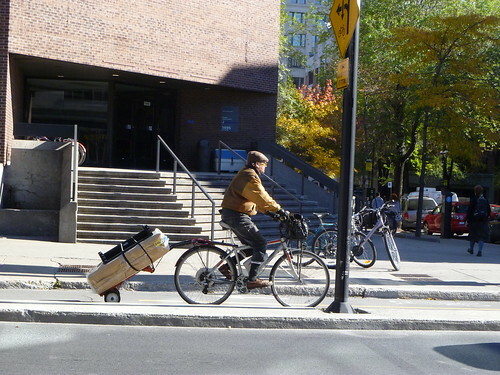 Despite the fact that I often hear how Montreal is doing amazing things about getting Citizen Cyclists onto bicycles, it's been tricky finding material/documentation. That is a good sign. It means the city and her citizens are just getting on with it, instead of getting bogged down in discussions. 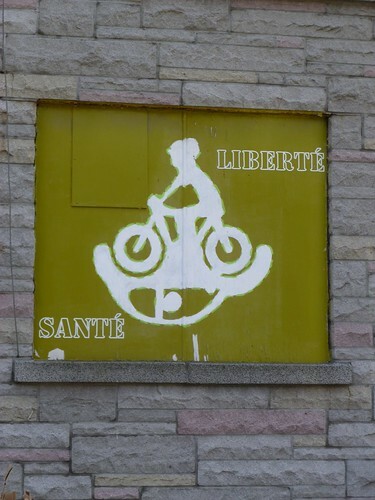 On two occasions I've met lovely people at conferences from Vélo Québec, the province's cycling NGO and between them and the grapevine, what is happening in Montreal is quite astounding. The above film is a great start. An intersection in the city. Loads of people on bicycles. 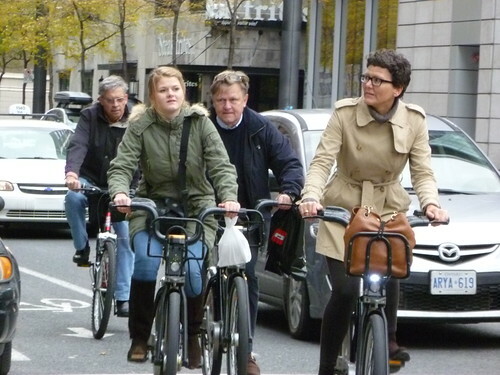 Fortunately, my friend Marie from the City of Copenhagen's Bicycle Office was in Montreal earlier this month and I begged her to take some photos of the city's blossoming bicycle life. Like in over 130 cities around the world, a bike share system has kickstarted the return of bicycle to the city. In Montreal's case it's the Bixi. In October 3 million trips had been registered so far this year. Bicycle symbolism is always good. And bicycle-related street art doesn't hurt either. Great to see sights like this. 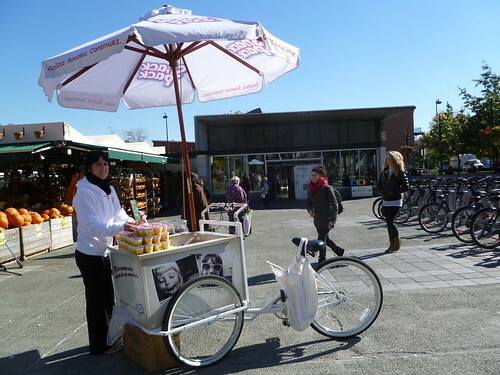 And, being from Copenhagen, three-wheeled bicycle vendors warm our hearts. 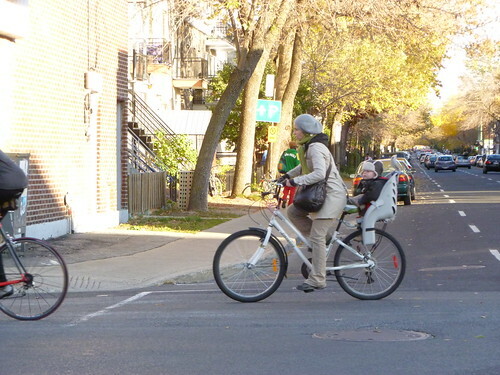 Montreal has supermums, too. Which is one of the surest signs that the city is doing something right. 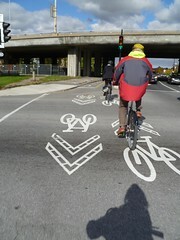 I recall reading that Montreal has the highest level of female urban cyclists in North America. Can any reader confirm that? And infrastructure is the key. Montreal... here's my love. I would love to visit the city and see 4real. Marie has more photos in her Flickr set.